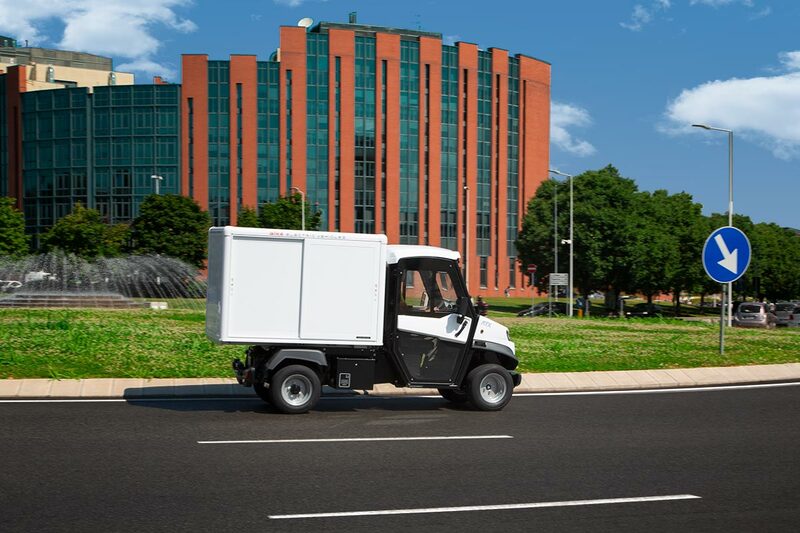 Alke' electric delivery van has a futuristic design, cutting-edge technical solutions and are able to achieve impressive performance in every environment. 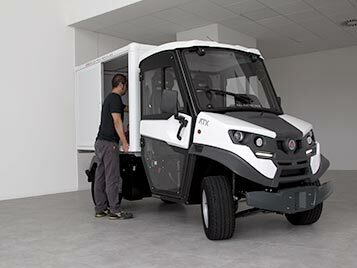 Compact zero emission commercial vehicles (only 127cm), chassis loading capacity up to 1.630 Kg. 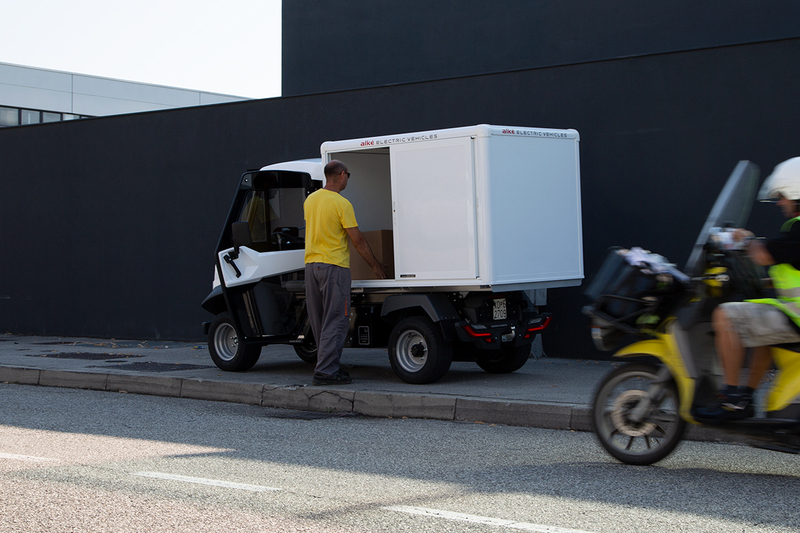 Why choose Alke' electric delivery van? 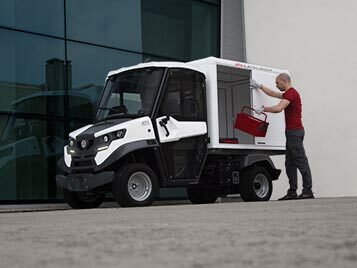 Alke' electric delivery vans are electric vehicles capable of impressive performance in any environment. Top models of the ATX range are among the few of their category to reach a negotiable slope of 35%, they have performance comparable to 4WD vehicles. 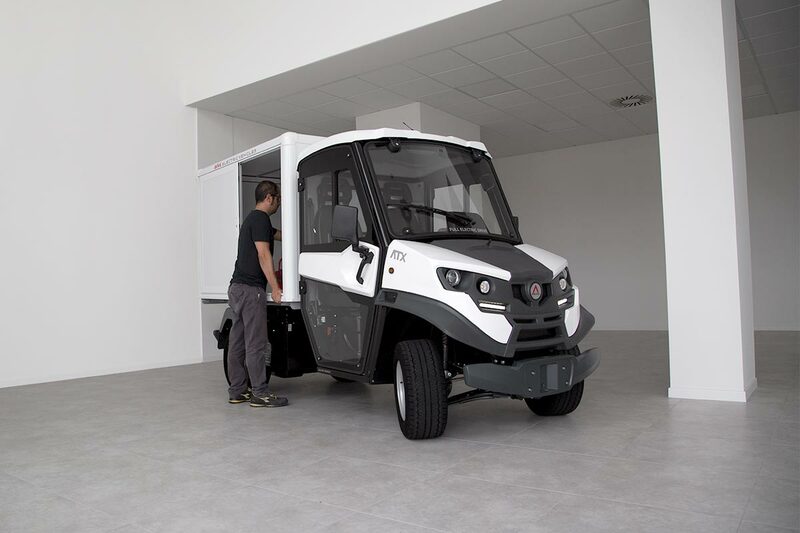 The electric delivery van version, ideal for postal and parcel delivery, goods and work equipment handling doesn't have any limit to the circulation not being polluting and thanks to its compact dimensions (127 cm of width) it is able to transit even on narrow streets. 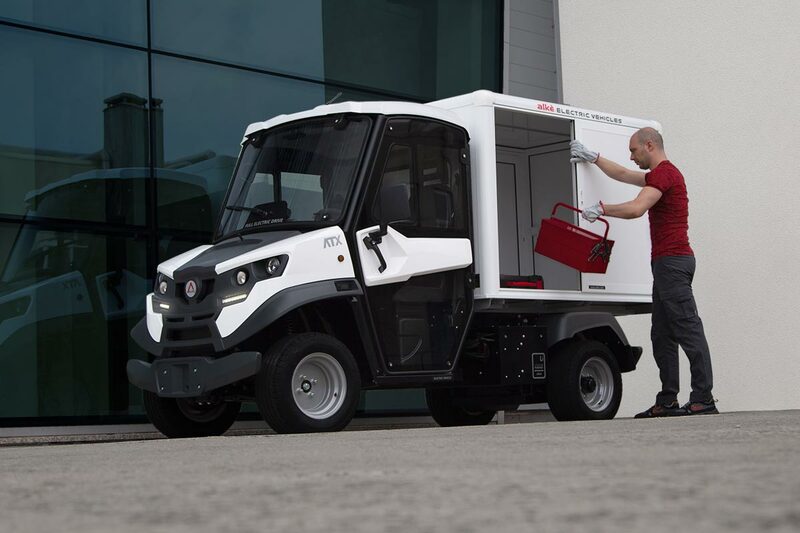 The Alke' 100% electric powered van can reduce the impact on the environment by eliminating CO2 emissions while using your vehicles for work and reduce costs. 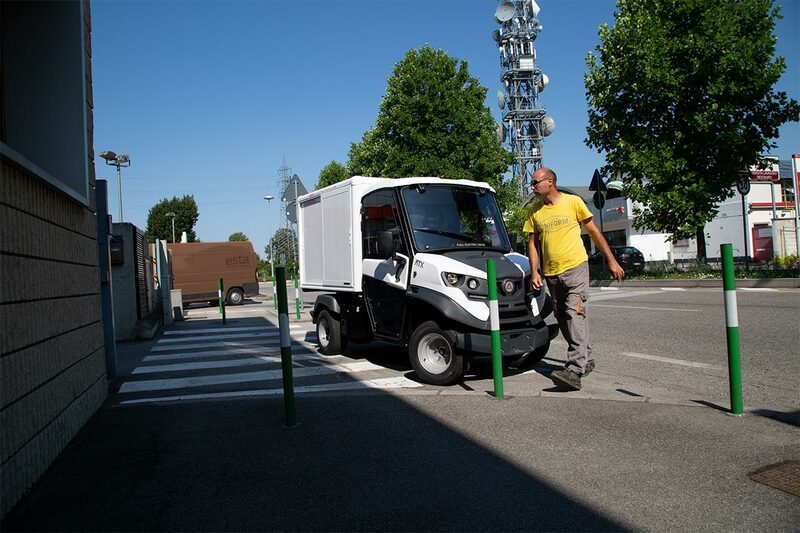 It is the ideal partner for moving in the city because compact, has access to areas where other types of vehicles are not allowed and is silent. 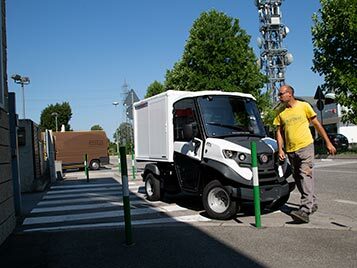 Alke' electric vans are chosen by companies that have a city based business to make their fleet eco-friendly reducing the environmental impact of their activities. 180x125 cm H122 (volume 2.75 m3) or 200x140 cm H132 (volume 3.7m3). A shelf covers half the depth of the cargo box, so you can put the shelves on the right side on a different height from the left one. 200 kg load capacity. A LED lighting automatically activated when you open side doors/shutters (the lights remain on only during the load and unload operations or in an case when one of the side doors/shutters remains open). 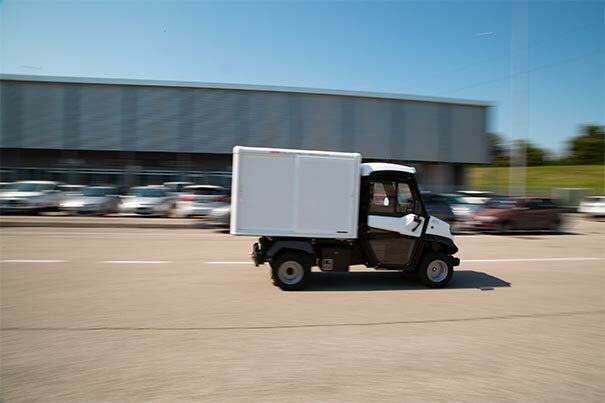 Alke' electric delivery van can reach an autonomy up to 150 km. All ATX models have a perfect riding comfort and maximum stability. 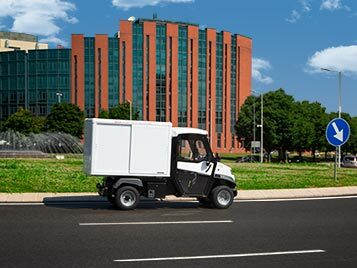 Alke'zero emission van are electric vehicles type approved at Europen level (N1 category). 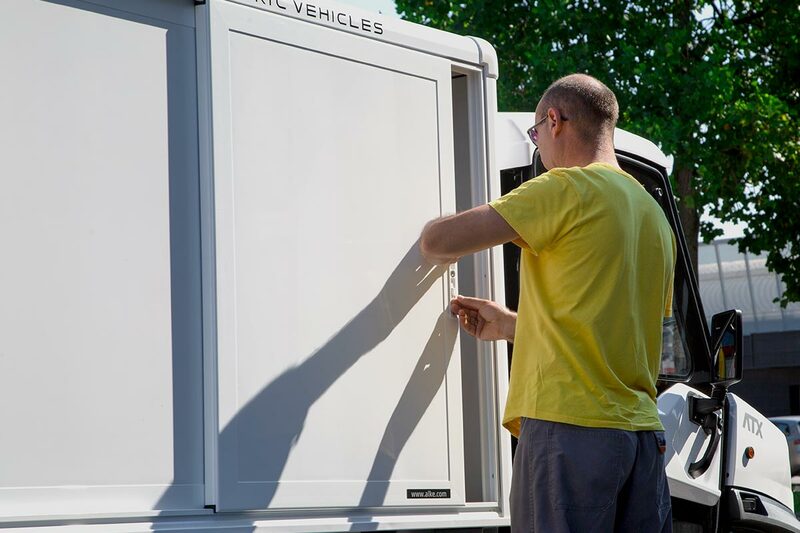 To have your van always operating there is the possibility to choose the quick charge system for lithium batteries or the battery swap system. 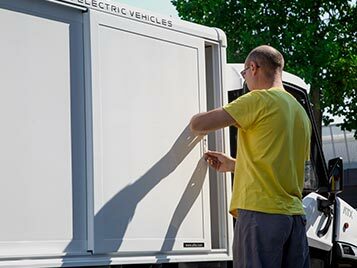 Alkè electric vans can have a closed box with sliding side doors, or with side roller shutters. The isothermal box with two rear doors is also available. The box can be equipped with shelves with a capacity of 200 kg. Among the available configurations there are the COMBI configurations composed of two combinable modules on the loading area. 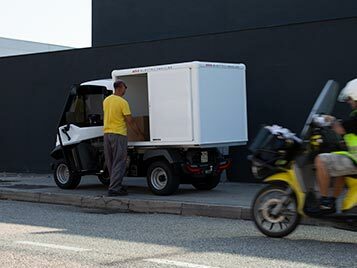 Alkè electric vans also have several optional accessories for the cab that make their use even more comfortable.